Keeping healthy foods stocked in the fridge and pantry is a strategy to help make healthy decisions easier. Below are a few of my go to items that I keep stocked as staples we keep our house for the whole family to enjoy! Snack Size KIND Bars - 100 calories, 60 g sodium, 8 g carbohydrate, 3-4 g fiber, total sugar 3 grams (2 g added sugar), 3 g protein. Mandarin Orange (1 small) - 47 calories, 12 g carbohydrate, 2 g sodium, 1.5 g fiber, 0.5 g protein, 9 g sugar (0 g added sugar). Blueberries (1/2 cup) - 40 calories, 10 g carbohydrates, 2 g fiber , 0.5 g protein, 0 g added sugar. Avocado - (small) - ~230 calories, 11 g sodium, 12 g carbohydrate, 8 g fiber, 3 g protein, 0 g added sugar. Banana (small) - 90 calories, 23 g carbohydrate, 2.5 g fiber, 12 g sugar (0 g added sugar), 1 g protein. 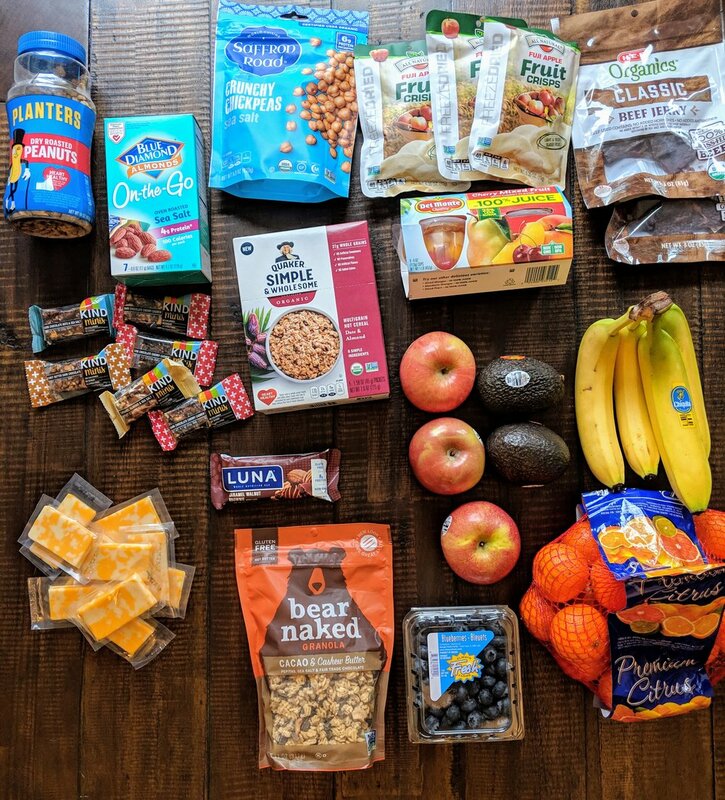 One of my main goals with meal prep is to provide options for healthy meals and snacks. While setting aside 2-3 hours for preparing meals is possible at times, I know there are weeks that it just does not fit in the schedule. Meal prep does not always have to include hours of cooking, but can be about keeping the refrigerator and freezer filled with healthy choices. Having a stocked refrigerator and freezer eliminates a barrier to choosing healthy foods despite hectic schedules and minimal cook time during the week. Prepare Lean Burgers. Form Hamburgers into evenly shaped patties and sprinkle with hamburger seasoning. Cook in large skillet. Remove from heat and allow to cool. Optional- Prepare salads and snacks in single serve containers for easy access at meal times. Enjoy Healthy Meals all Week! 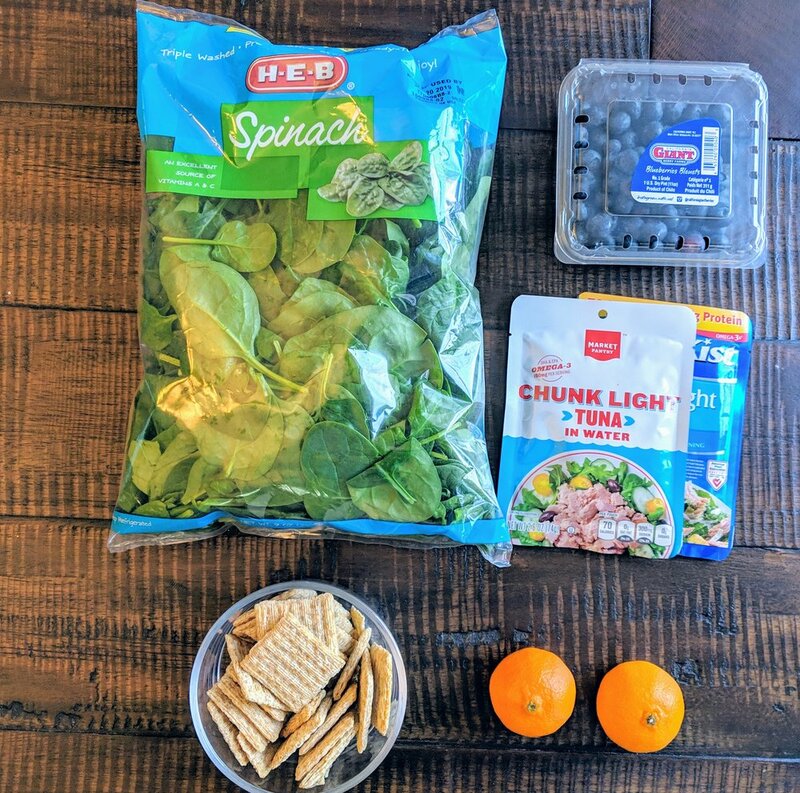 With 4 main meal options (Burger + mixed greens, Spinach + tuna, 2 different frozen meal options) and 3 snack snack combos you wont feel bored with your choices! 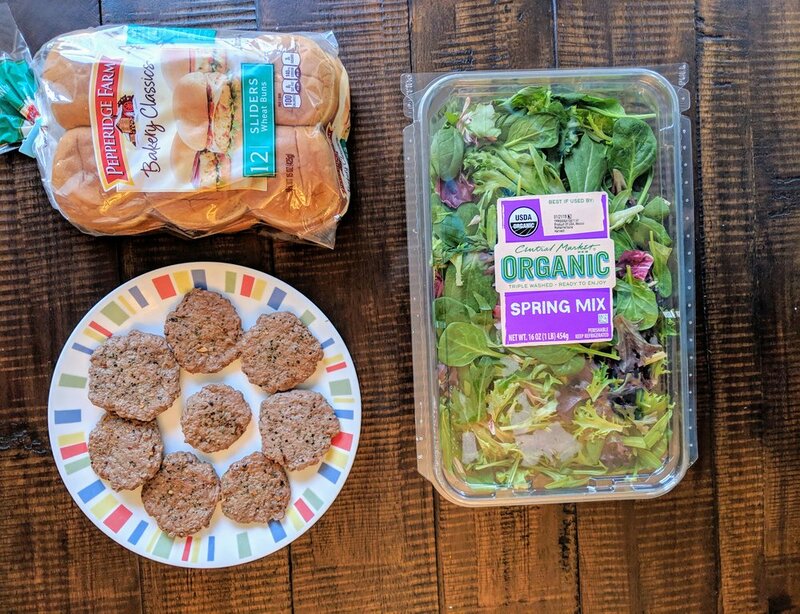 This meal prep encompasses a variety of short cut methods to completing a meal prep with ease and in under one hour. Cook Chicken- Preheat oven to 400 degrees. Line a cooking sheet with foil for easy clean up. Spray foil with non stick spray. Remove wrapper from chicken, rinse and place back in the container purchased in. Drizzle both sides with olive oil, seasoning of your choice, and lightly sprinkle with salt. Place in oven and cook for approximately 20 minutes or until thermometer reaches 165 degrees. Once chicken is in the oven the remainder of the preparation can be completed. First prepare the quinoa. Bring 2 cups chicken broth to a boil. Add 1 cup Quinoa reduce heat to simmer covered for ~ 15 minutes or until the water is absorbed. Remove from heat, stay covered and allow to sit for 5 minutes. While quinoa and chicken continue cooking prepare instant brown rice follow instructions on the box. For this prep I used 3 cups rice + the remaining 2 cups Chicken broth + 1/2 cup water and microwaved for 12 minutes per instructions. Remove from microwave and sit covered for 5 minutes, then fluff with a fork. The vegetables used for this meal prep are all frozen and the mixed vegetables and edamame are from steamer bags. Once the microwave is free steam the vegetables according to package instructions. Remove chicken from oven and allow everything to cool before preparing in individual portions or in bulk. Enjoy a variety of meals for the week. Homemade trail mix with pistachios, dried cranberries, and dark chocolate! 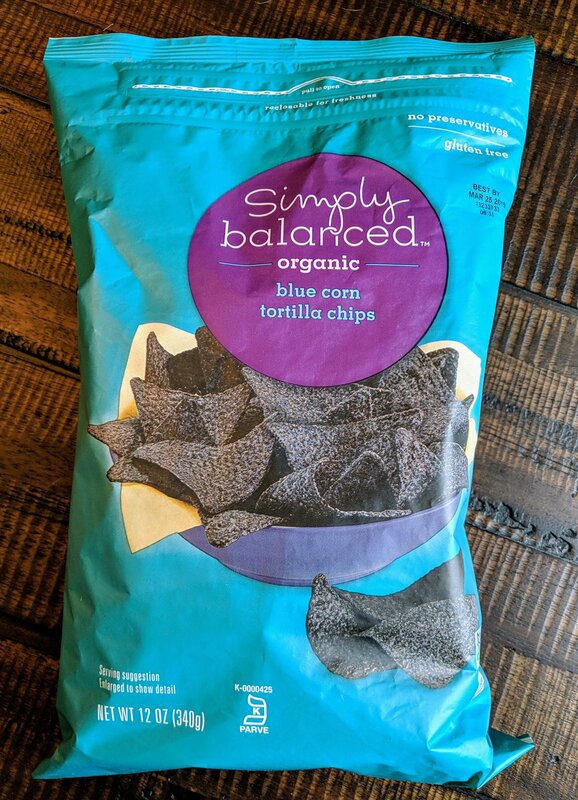 This is one of my favorite snack mixes for simple snacking. It is great to keep at the office,, in the kitchen, or an excellent pre-workout pick me up. 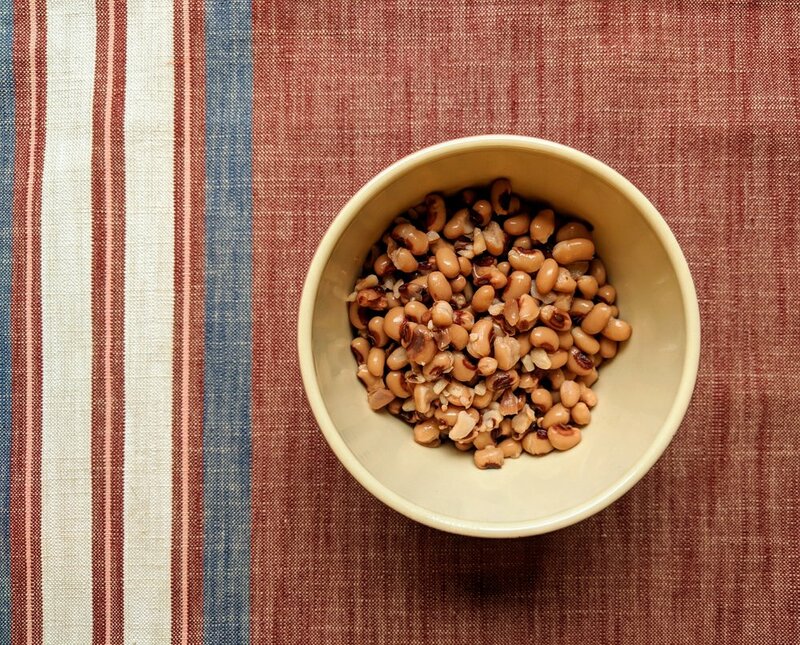 Its the perfect combo of sweet and salty, provides protein, and is nutrient dense. Check out the recipe below. Combine ingredients and store in an airtight container. Enjoy for snacking during your week! Tips: If you can not find shelled pistachios, add ~ 10 minutes shelling time to prep the recipe. 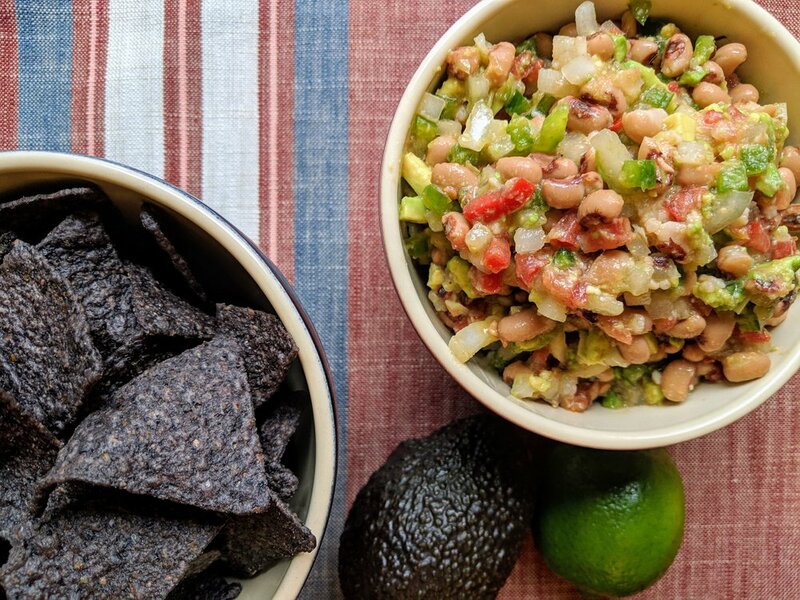 A few of our favorite convenience items to stock in the freezer, fridge, and pantry for those days and evenings when cooking just doesn't fit in the schedule. If you follow me on social media or browse my site you know I enjoy meal prep. While I love meal prepping and believe it is a wonderful tool to healthy eating it requires time to plan, prepare, and clean . 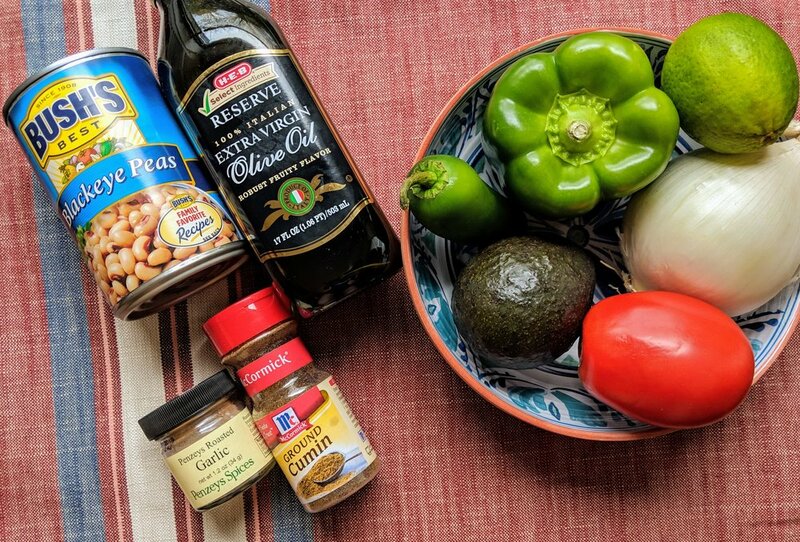 It would be unfair for me to not share that along with meal prepping I use a variety of other strategies to provide healthy options when cooking just doesn't fit the schedule. Today's post focuses on these strategies. 1. Frozen dinners....yes I said it. I know for years frozen meals were cringed at by most dietitians with their high sodium content, high calories, tons of preservatives and additives, and flat out horrible taste. However, over the past years with consumer demand and the popularity of quality ingredients, less additives, and overall healthier options several manufacturers of frozen meals have stepped up to meet the demand. As always when searching out the best options refer to the nutrition label and ingredient list. Several guidelines and nutrients to examine when selecting a frozen meal include calories, protein, sodium, fiber, and fat. If a meal you enjoy doesn't meet your calorie needs or falls short on other nutrients below are healthy and simple ways to boost the calorie and nutrient content and round out your frozen meal. For example: Pair Newman's Own Frozen cheese pizza with a frozen vegetable or salad. With 2 slices of pizza at 260 calories adding a vegetable will boost the calorie and nutrient content to turn a frozen pizza into a meal. Protein: For a boost of protein add a serving of dairy to your meal. Examples include adding a glass of low fat milk or a string cheese. Vegetables: For frozen dinners short on vegetables considering mixing additional vegetables to the meal, having a vegetable side, or serving with a side salad (using bagged or bin of pre-washed lettuce makes this an easy side). Another great option is snacking on a side of edamame as an appetizer. Simple pop a steamer bag of edamame in the microwave and sprinkle with your favorite seasoning. Nuts/Seeds - Add a serving of nuts to your meal or as a dessert to round out your meal with healthy fats to keep you feeling full longer. Several examples of frozen meal brands with minimal additives (and some of my favorites) include Amy’s Light and Lean, Healthy Choice Café Steamers Simply, evol, Luvo, and Saffron Road. 2. Convenience Items are great time savers when it comes to choosing healthy foods at home. Stock up your fridge, freezer, or pantry with these items to always have a healthy meal on hand. Ready to eat fruits that do not require slicing or peeling such as apples, bananas, peaches, pears, blueberries. Microwave bag of brown rice + Microwave bag of steamer vegetables + low sodium canned beans. Served with a side of Applesauce sprinkled w/ cinnamon. Protein Plus pasta + frozen vegetables. Served with canned pears. Oatmeal prepared with milk (or water if no milk available) + smashed banana (for sweetness) + sprinkled with crushed nuts and cinnamon. This iced coffee is the answer to all those skipped breakfast mornings. I hear all to often "I don't have time for breakfast or I'm not a breakfast person", but often those people still enjoy their morning cup of coffee. This combo allows you to enjoy your morning cup of coffee with a bonus 20 grams of protein with less than 200 calories. While for years there has been debates on the amount of protein needed daily often its forgotten that just as important as the amount of protein is the timing of protein intake, especially in those working on building and maintaining muscle. Aim for 3 meals with at least 20 grams of protein can help preserve muscle mass, prevent overeating later in the day, and protect muscle loss during weight loss. The addition of coffee and almond milk to the traditional protein shake transforms this beverage into a protein packed upgraded version of your traditional iced coffee. Combine almond milk, cooled coffee, and protein powder to blender. Add 4-5 ice cubes or you may blend without ice and pour over ice once complete. Blend until ingredients are well combined. 1. Set racks evenly apart in the oven (to cook both chicken and vegetables the last 20 minutes). Preheat oven 415 degrees . Remove chicken from packaging, drain off any liquids, and place in cooking dish. Drizzle generously with olive oil, salt, and pepper. Place in oven and cook for the first 20 minutes at 415 degrees, then reduce temperature to 350 degrees. For this 3.5 pound chicken it cooked for for 1 hour and 20 minutes. You will base your prep schedule on the chicken cook time so be sure to calculate an estimated cook time based on the weight of your chicken before you begin preparing other dishes. A rule of thumb is approximately 20 minutes per pound, but as always when cooking chicken check temperature with thermometer and chicken is done when internal temperature reaches 165 degrees. 2. While the chicken is cooking. Wash and chop vegetables placing squash on one sheet and broccoli on the other. Wait to season the vegetables until closer to cook time. The vegetables will be added to the oven the last 20 minutes of the chicken cook time. To season drizzle with olive oil, salt, pepper, and increase the oven temperature to 415 degrees. 3. Next cook the rice. In a large pot add 4 cups chicken stock and 2 cups brown rice, bring to a boil then reduce heat to low. Cover and cook for 35- 40 minutes. 4. At this point the chicken likely still has at least an hour of cook time so if desired use this time to prepare other foods for the week. Options include cooking hard boiled eggs, chopping single serve fruits or vegetables, preparing instant oatmeal packets, or planning next weeks meal prep. As pictured I prepared oatmeal with 1/2 cup oats, 1 tsp brown sugar, 1/2 tsp of cinnamon, and 2 tbsp. raisins or crushed walnuts. I also use this time to clean up any mess and dishes used thus far. 5. As the chicken has ~ 40 minutes left to cook work on the steaks. Season each steak with steak seasoning or other seasoning of your choice and cook over stove top or outdoor grill. Remove from heat and allow to cool. While the steaks are cooking open black beans, drain, and rinse then set back in the can. 6. Once the chicken nears completion with ~ 20 minutes left increase the oven temperature to 400 degrees, season the vegetables and place in the oven to cook. While the chicken finishes and vegetables are cooking set out all your single serve containers and begin to fill with prepared foods. 7. Remove chicken from oven and check temperature with meat thermometer (make sure it reaches an internal temperature of 165 degrees). Remove from cooking juice onto a new plate to cool. Remove vegetables and allow to cool. 8. While chicken is cooling begin assembling single serve containers with beans, brown rice, spinach, and steak. Once chicken and vegetables are cool add to the meals. *The bulk of this meal prep time is spent cooking the chicken to save time use a store bought rotisserie chicken. If using a pre-cooked chicken skip the first step. start your meal prep by preheating the oven to 415 to heat up for the vegetables then cook the rice. From there proceed to step 2 and continue with the meal prep eliminating or portions of steps that pertain to cooking the chicken. A colorful meal prep using leftovers from previous meals and convenience items in the kitchen. A great strategy to save time in the kitchen is to double recipes or build off dishes from meals prepped. This a strategy we use in our house when we aren't able to meal prep on weekends. With a little planning ahead and cooking extra portions of meat and rice those core items can be used to expand and build meals for the rest of the week. 1. Begin by starting the rice.Cilantro rice. Add 1 cup rice to 2 cups of water bring to a boil, reduce heat to low cover and cook for 35-45 minutes. 3. While rice continues to cook rinse the cilantro and chop. Chop the garlic and set aside. Using a strainer drain and rinse the black beans. 4. Cook snow peas in steamer bags in the microwave. While they are heating wash fruit and portion in single serve containers. Remove snow peas from microwave and place in a bowl. Toss with 1 tbsp. olive oil, salt, and pepper. 5. Once rice is cooked remove from heat and allow to cool off for a few minutes. Add chopped garlic, 1/2 tsp cumin, 1/4 cup cilantro, and 2 tbsp. olive oil. 6. Fill meals in single serve containers and enjoy your week! * For best results add tuna when you are ready to eat your meal. 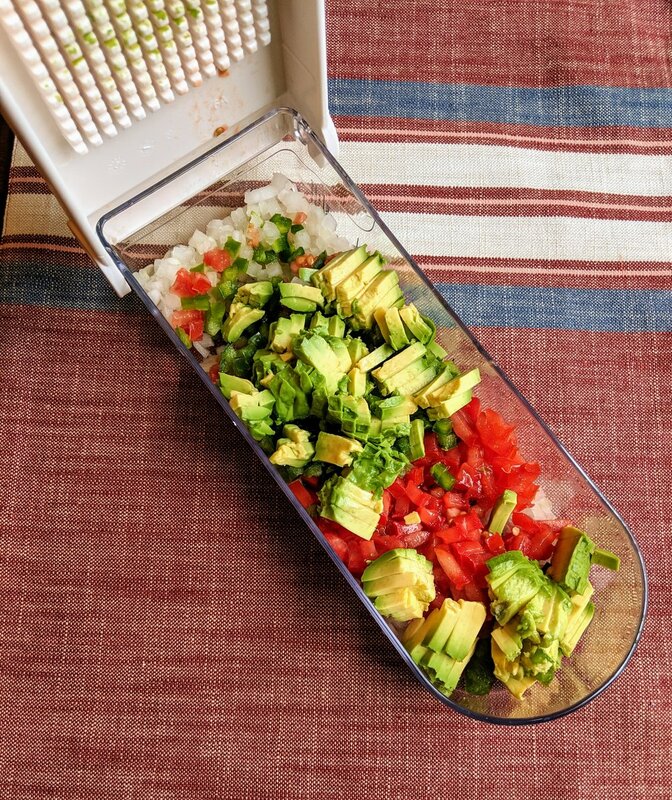 The final product of this meal preparation provides a variety of ingredients to build your own bowl including brown rice, quinoa, roasted chickpeas, grilled chicken, roasted broccoli, tomato, orange bell peppers, and avocados! Snacks are a breeze with hummus and pre - cut carrots, broccoli, and cauliflower. Breakfast are KIND bars and plain yogurt with strawberries for a sweet evening snack. This is one of my favorite meal preps. 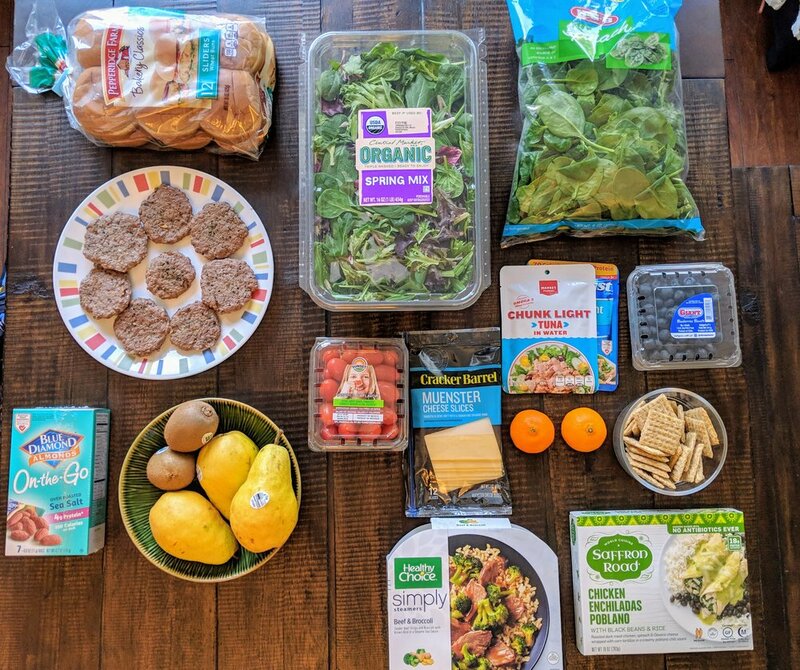 In addition to meal prep this spread also works great for friends and family when they visit. 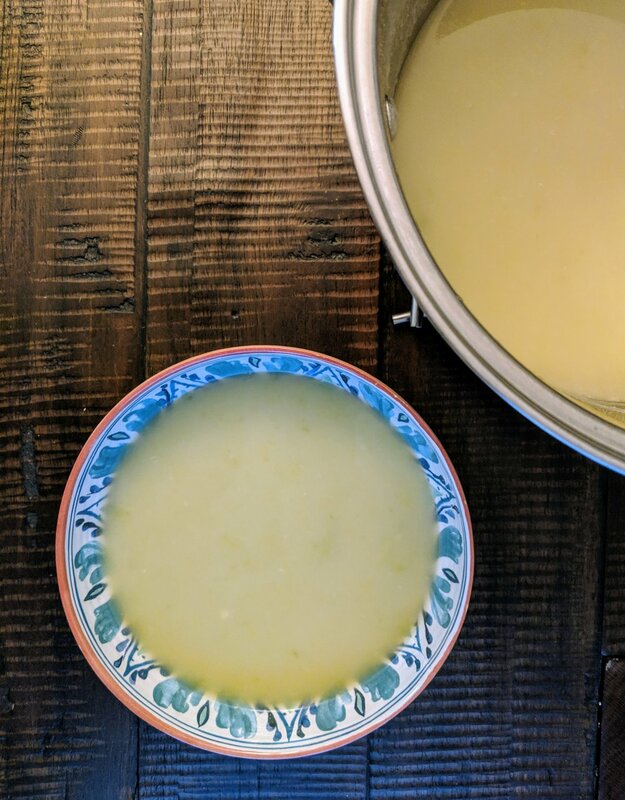 Friends and family really enjoy all the variety and it is great to have options that are gluten free, diary free, and vegetarian (just swap the chicken broth for vegetable broth or water). Carbohydrates: Couscous, whole wheat pasta, roasted sweet potatoes, or orzo. Vegetables: Zoodles or zucchini, carrots, squash, asparagus, corn, bell peppers, roasted cauliflower, roasted brussel sprouts, or green beans. Protein: tofu, black beans, lean beef, ground lean turkey, shredded rotisserie chicken, tuna or salmon single serve pouches, or boiled eggs. With bowls the possibilities are endless and really that is what makes this meal prep so versatile. 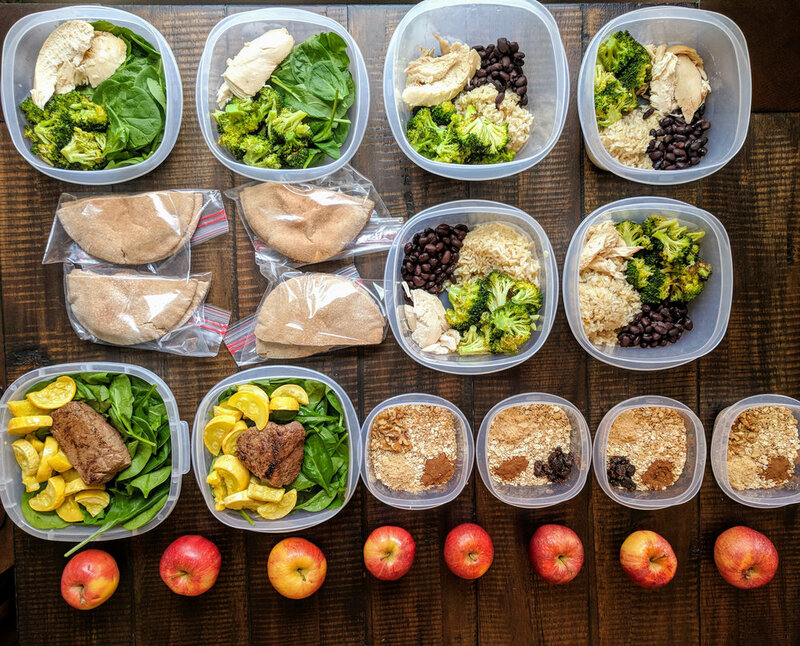 If you are preparing for a family it leaves all kinds of options or if you are preparing for one person the variety of combos makes it easy to enjoy the meals for most of the week (Consume meal prep within 4 days of cooking). This meal prep prepares enough for approximately 16 bowls assuming a 1/2 cup grains is used, 1/2 cup beans or 4 ounce chicken, and mixture of tomato, peppers. avocado, broccoli in each bowl. In addition to the bowls this meal prep provides 2 snacks daily and a breakfast option. 1. Cook brown rice. Add 1 cup of brown rice and 2 cups of low sodium chicken broth to a pot and bring to a boil. Once boiling reduce heat to low, cover, and cook for 35-40 minutes or until all liquid is absorbed. 2. Prepare the chicken- Trim excess fat from the chicken breast fillets and lightly drizzle with olive oil. Season with salt and pepper or other seasoning of your choice. Add 1 tbsp olive oil to cooking skillet and cook approximately 10 minutes covered on the first side. 3. Wash hands and begin prepping vegetables. Line 2 large baking sheets with foil. Wash cauliflower, broccoli, tomato, and orange pepper. Drain and rinse chick peas in a colander. Lay several paper towels on one of the cooking sheets then pour chickpeas onto baking sheet with paper towel and pat the remaining liquid off. At this time the chicken is likely ready to be flipped. 4. As the chicken is cooking cut the vegetables.Preheat oven to 400 degrees. 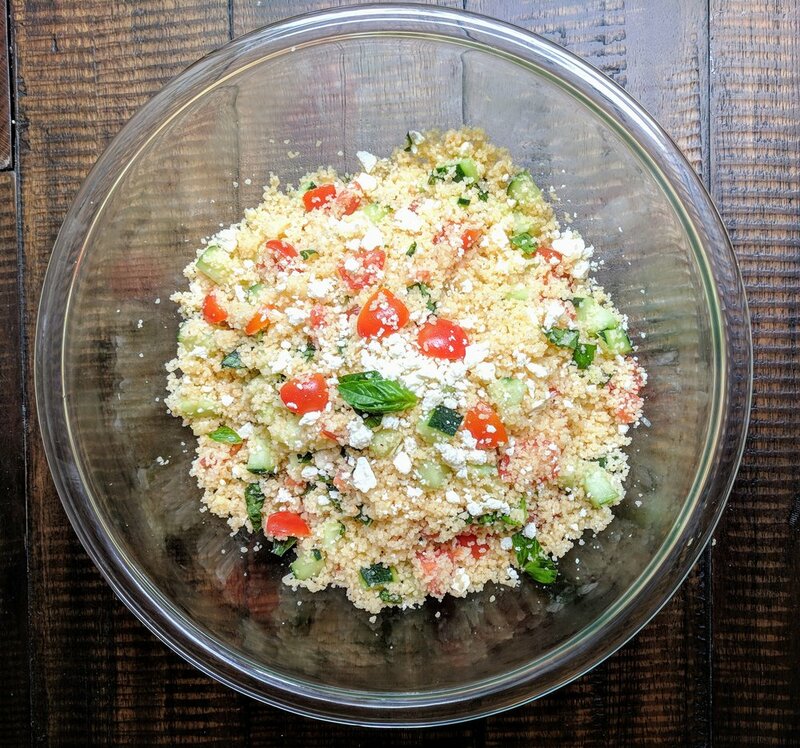 Place cauliflower in container to have with hummus, broccoli on the large foil lined baking sheet, tomatoes in a 2 storage container, and bell pepper in a storage container. Season the broccoli with 1-2 tbsp olive oil, salt, and pepper. Lightly drizzle the chickpeas with olive then season with fresh garlic or 1-2 tsp. garlic powder and lightly sprinkle with salt. 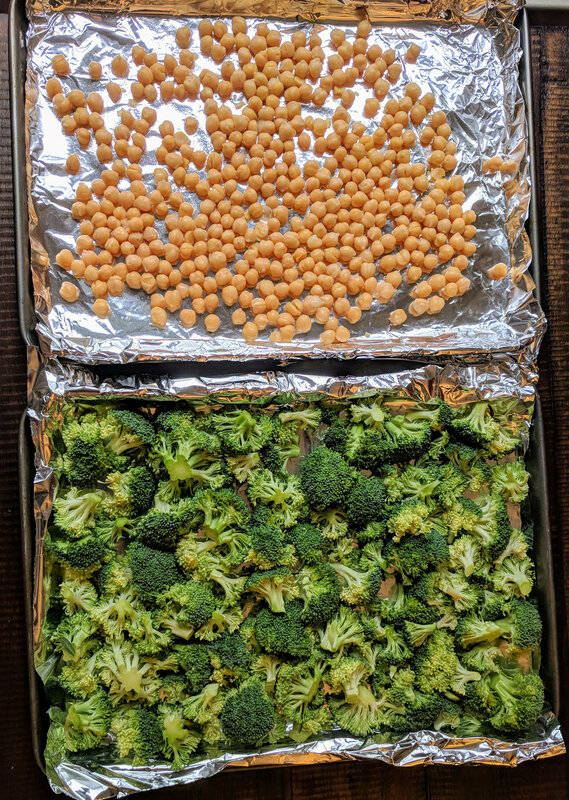 Place the broccoli and chickpeas in the oven to cook. The chicken is likely done (depending on your speed). Check the chicken with a thermometer and ensure internal temperature reaches 165 degrees. Remove from heat to cool. 5. At this time the rice is likely cooked. Remove from heat and place in a large bowl. Rinse the pot used to cook the rice and this will be used to prepare the quinoa. Add 2 cups low sodium chicken broth to the pot and increase heat to a boil. Add quinoa, reduce heat and allow to cook ~ 10-15 minutes or until water is absorbed. After quinoa is cooking check on vegetables and chickpeas. After cooking for ~ 10 minutes use a spatula to mix chickpeas for even cooking. Return to oven and cook for ~ 5-10 more minutes depending on your crispness preference. Remove broccoli after cooking for ~ 10-15 minutes. 6. While vegetables are cooling and quinoa finishes cooking slice wash and remove stems from strawberries. Slice chicken breast. Move broccoli and chickpeas to bowls to cool. Clean dishes. Once quinoa is done cooking move to a bowl to cool and wash pot. 7. Store each ingredient for bowl making in its own large container or prepare single serve combo bowls per your preference. Add chopped onions, garlic, and 8 ounce sliced carrots into large stock pot. Add 2 tbsp. olive oil and turn heat to medium. Saute for about 5 minutes or until the onions are translucent. Next add in 8 cups low sodium chicken broth and 2 cups of water. Bring to a boil. While waiting for the soup to boil season the chicken with salt and pepper. Heat 1-2 tbsp olive oil in saute pan over medium heat. Add the chicken to the skillet and cook for ~4 minutes then stir and flip to the other side and cook for an additional ~4 minutes or until chicken is cooked thoroughly (internal temperature reaches 165 degrees). Add the cooked chicken and its cooking juices to the boiling soup. Gently add in the gnocchi and spinach. Once gnocchi floats the soup is complete. 1. Prepare baked chicken tenders. Recipe link http://www.greensandgrainsnutrition.com/greens-and-grains-blog/2017/7/6/baked-chicken-tenders. Preheat oven to 375 degrees. Line a large baking sheet with foil and spray with nonstick spray. In a bowl cracker and scramble the 2 eggs. 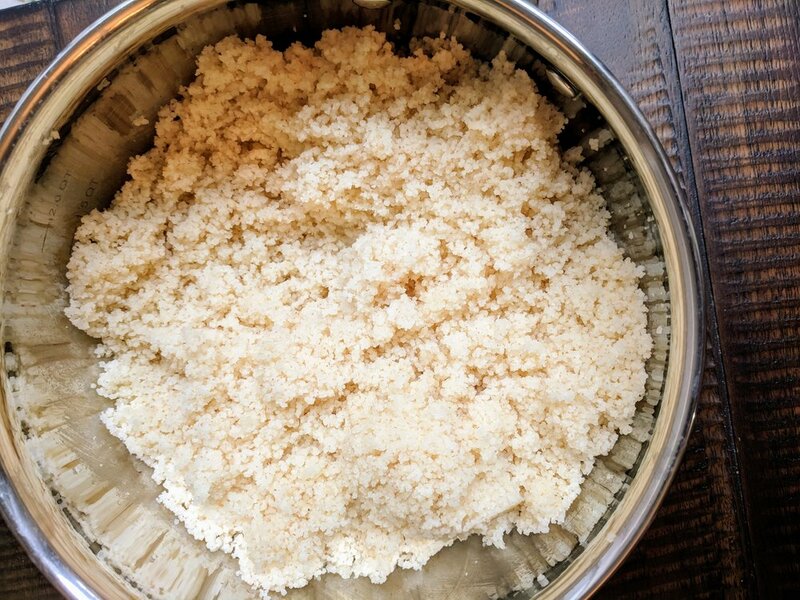 In another bowl combine 3/4 cup whole wheat bread crumbs, 1/4 cup Parmesan cheese, 1 tbsp salt free seasoning, and 1 tsp salt and pepper. Gently mix. Take the chicken tenders and dip in the egg first then breadcrumb mixture and place on baking sheet. Repeat process until all tenders are complete. Place in oven and bake for 30 minutes. 2. While tenders are baking place 8 eggs in a large pot. Cover with water and place on stove. Bring to a boil, once boiling cover and allow to sit for 10 minutes. While the eggs are cooking cook the quinoa. Add 1 1/2 cups low sodium chicken broth and 3/4 cup quinoa to a small pot. Bring to a boil, cover and turn off heat. Allow to stand covered for 10 minutes. 3. While the quinoa and eggs are finishing steam the edamame in the microwave according to package instructions (typically 3-4 minutes) then empty into a bowl to cool. Chop the tomato, cucumbers, and orange pepper. Drain the hot water from the eggs and add cool water or ice to the eggs. 4. After standing for 10 minutes remove cover from quinoa and allow to cool. After cooking for 30 minutes, remove chicken tenders from oven and allow to cool. Peel the eggs. 6 Assemble salad jars with 2 tbsp. 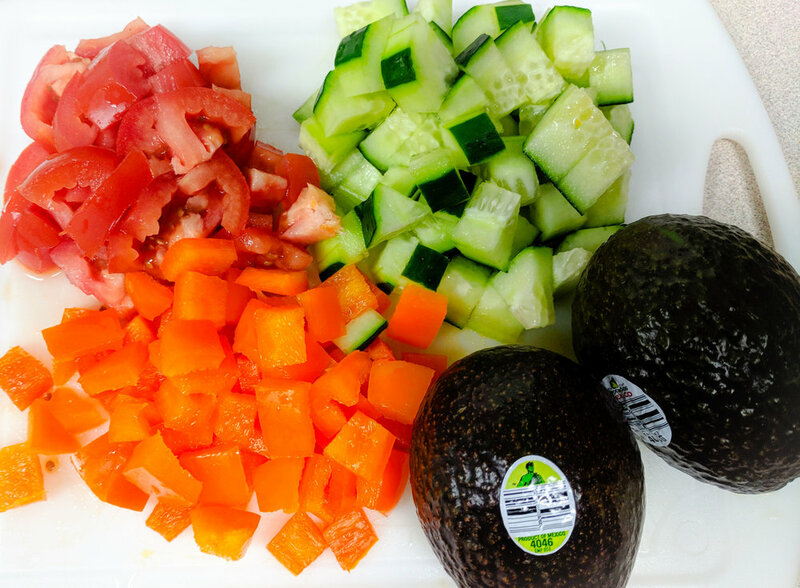 dressing first (optional you may also add when ready to eat), cucumbers, tomato, and orange pepper first. Next layer edamame and 1 chopped egg. Generously fill with lettuce and spinach. 7. Assemble remaining meals: 1/2 cup Quinoa + 3/4 cup peas and carrots + 1 sliced boiled egg - 4 meals. Then 2 baked chicken tenders + 10 carrot sticks. Pre-portion 1 cup yogurt servings. - If you don't have travel salad containers or large jars to fill don't worry. It works just as well to store in a glass or plastic container. - As with many meal preps vegetable and fruit swaps are welcome per preference or convenience. - You may add salad dressing with carrot sticks if preferred. This meal prep incorporates takes approximately 1.5 hours to complete from start to clean up. The meals are packed with vegetables and really encompasses the philosophy to "eat the rainbow". Each different color and shade of fruits and vegetables provides different health benefits. Blueberries or other blue and purple fruits and vegetables are rich in antocyanin an antioxidant that can help with heart health and blood pressure control. Green vegetables such as the spinach and brussel sprouts are a great source of vitamin K, folic acid, and potassium. Orange fruits and vegetables are a great source of beta carotene can convert to vitamin A which is essential for eye health, skin health, and maintaining a strong immune system. Regardless of if you choose to meal prep fill your plate daily with a rainbow of colors to maximize the health benefits from the foods you consume. 1. To cook the steaks first season steaks with salt and pepper on both sides. Add ~ 1 tbsp butter to the skillet and heat to medium to high heat to melt the butter. Once melted add the steaks and brown on each side for ~ 2-3 minutes. Remove steaks from pan and reduce heat to low. Add in ~ 1 cup of beef broth and add steaks back to the skillet. Cover and cook on low for ~ 45 minutes or under tender. 2. Next prepare the soup. First chop onions and garlic. Place onions, garlic, 1/2 bag sliced carrots, and 2 tbsp. olive oil into the soup pot. Saute until the onions are translucent or ~ 5 minutes. Next add in 8 cups low sodium chicken broth and 2 cups of water. Bring to a boil. While waiting for the soup to boil cut the chicken into cubes and season with salt and pepper. Heat 1-2 tbsp olive oil in saute pan over medium heat. Add the chicken to the skillet and cook for ~4 minutes then stir and flip to the other side and cook for an additional ~4 minutes or until chicken is cooked thoroughly. Maximizing the cook top to complete meal prep in minimal time. Waiting for the soup to boil the chicken is cut and added to a skillet. The beef continues cooking covered. 3. While the chicken is cooking preheat the oven to 400 degrees to roast the vegetables. Line a large baking dish with foil. Wash the potatoes, brussel sprouts, and the spinach. Peel and slice the potatoes into thin 1/4 inch slices. At this time check on the chicken and if cooked thoroughly remove from heat. Continue prepping the vegeteables. Cut the brussel spouts in half. Add remainder of the carrots to the cooking sheet. Season the vegetables with oregano, thyme, salt, and olive oil. Combine all the vegetables making sure to coat them all the olive oil and seasoning. Place in preheated oven and roasted for ~ 20-25 minutes. Roasting vegetables adds a depth of flavor to the vegetables. The vegetables are cut and ready to be seasoned with olive oil, thyme, oregano, and salt. 4. Add the chicken and its cooking juices to the soup. Add the gnocchi and spinach to the boiling soup. Once gnocchi float to the top the soup is complete. Portion soup into single serve containers to allow to cool. 5. At this time the beef is likely tender and cooked. Remove from heat and remove vegetables from oven (after ~ 25 minutes or as they begin to brown on the edges). Portion vegetables and meat into single serve portions. 6. While foods cool portion out blueberries (for best quality wash right before consuming). As food continues to cool clean pots, skillets, and utensils. Once food is cool, cover and store in refrigerator. This meal prep provides these healthy and delicious protein and vegetable packed meals. Preparing meals ahead of time makes healthy eating easy and gives you more time to enjoy with family and friends.